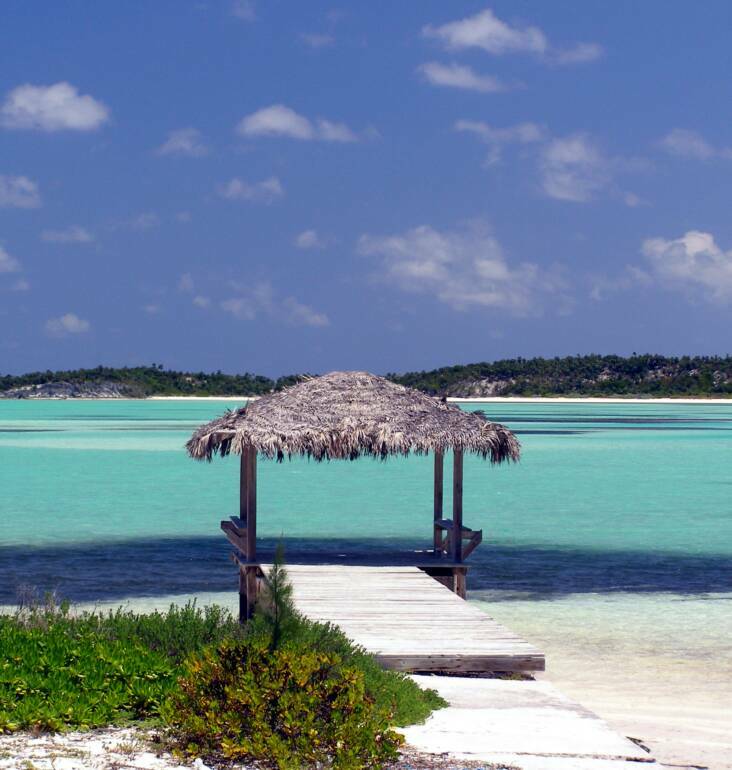 Our location in the central part of Eleuthera makes for easy travel to the good flats located around Governor's Harbor and Savannah Sound, and is an easy drive to the more remote and less visited southern end of the island. There are great flats and beaches all the way from Unique Village south to Bannerman Town and Cape Eleuthera. We've been exploring Eleuthera for 10 years now, and there are still places in the south we have not yet fished. 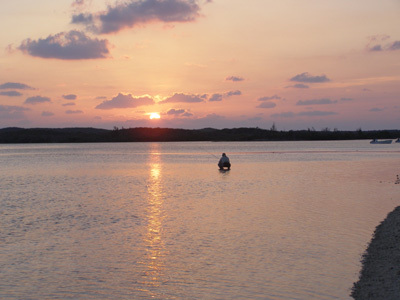 For adventurous anglers, there are miles of lightly fished flats and beaches to visit on south Eleuthera. All it takes is time. Unique Village Hotel and Villas is just a 20 minute ride from the island's main airport in Governor's Harbor. This beautiful resort sits on a spectacular stretch of beach that runs for miles. It is comprised of 14 units - 10 hotel rooms, 2 - two bedroom, 2 bathroom villas and 2 - one bedroom apartments. The villas and apartments have fully equipped kitchens and all units offer breathtaking views of the Atlantic Ocean. Meals are taken in the dining room next door to the rooms, and lunches can be packed to go for a day of exploring. Rooms are cleaned daily. Everything is taken care of: all you have to worry about is catching bonefish! Unique Village dining room and view Rooms over looking the pool & ocean! "Vince- Great time. I enjoyed fishing with guide Denny Rankin quite a bit, ended up going with him Friday as well. Saw the most fish at Savannah Sound, and the biggest as well. Got one Friday that went a solid 10 lbs. Thursday I managed to hook 6 and land 2 at Savannah Sound early and then went out to Deep Creek. Didn't see any bones there but got a big boxfish, small cudas and nailed the blue runners, little grouper and snapper at the point right at the turn of the tide. Best fly was 6 tan silli gotcha, caught everything on that. I never got around to fishing the beach, too many other distractions ( Kaliks, etc.) I did snorkel a few times in front of the hotel and got some great shells for the kids. Mate & Jenny's was great & great cheeseburgers at Windchimes. I didn't fish as many spots as I should have, kind of overwhelming in a way, so much to choose from. I will definitely go back. The whole trip was a terrific adventure and your services were just as advertised." 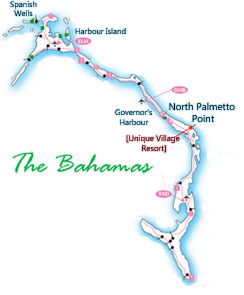 ELEUTHERA COMPLETE PLAN: ($1499.00) 7 nights lodging at Unique Village Beachfront Resort in North Palmetto Point (located 15 minutes south of Governor's Harbor), all of your meals (breakfast, lunch & dinner with all tips included), vehicle rental for your stay, all taxes. You pay for your flight, gas, and alcohol, if desired. UPGRADE PLAN TO 1 BEDROOM BEACHFRONT VILLA (at Unique Village)--$1699.00. ELEUTHERA MODIFIED PLAN: ($1250.00) 7 nights lodging at Unique Village Beachfront Resort in North Palmetto Point (located 15 minutes south of Governor's Harbor), all of your meals except dinners (breakfast & lunch with all tips included), vehicle rental for your stay & all taxes. You pay for your flight, dinners, gas, and alcohol, if desired. UPGRADE TO 1 BEDROOM BEACHFRONT VILLA (at Unique Village)---$1449.00. 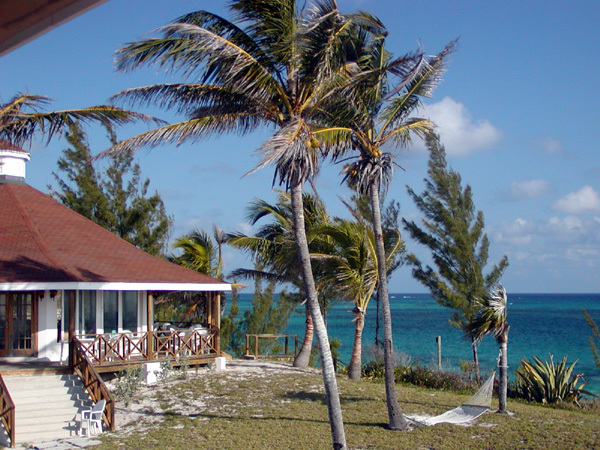 ELEUTHERA CRUSOE PLAN: ($999.00) 7 nights lodging at Unique Village Resort (located 15 minutes south of Governor's Harbor), vehicle rental & all taxes. Dine out at one of the many excellent restaurants nearby. You pay for your flight, all food, gas, and alcohol, if desired. 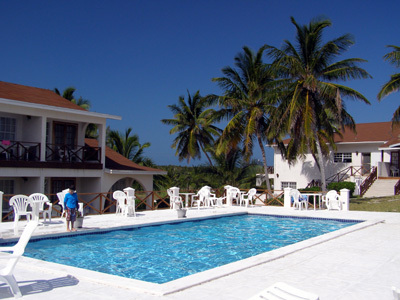 UPGRADE TO 1 BEDROOM BEACHFRONT VILLA W/FULL KITCHEN (at Unique Village)--$1175.00. 3 or 4 Angler Option ($2900 total) 7 nights lodging at Unique Village Resort in their two-bedroom oceanfront villa (located 15 minutes south of Governor's Harbor), large SUV rental & all taxes. Cook in your own kitchen or dine out at one of the many excellent restaurants nearby. You pay for your flight, all food, gas, and alcohol, if desired. A deposit of 50% is required within 15 days of booking to confirm a reservation. The balance is due 60 days prior to arrival. Deposit is refundable, less a $100 per person processing fee, if written cancellation is received at least 90 days prior to the trip. A 50% refund will be made to client if written cancellation is received 31-89 days prior to the trip, and no refund will be made if written cancellation is received 30 days or less prior to the trip, unless a substitute angler is found, in which case a full refund will be made less a $100 processing fee. Receipt of deposit is acknowledgment that registrant has read and accepts the cancellation/refund and responsibility clauses.